1. Oceanographic research: in many regions of the worlds oceans. 2. Assisting with the supply logistics for the French Sub-Antarctic islands: Crozet, Kerguelen, Amsterdam / Saint Paul, under the responsibility of the Terres australes et antarctiques françaises (TAAF). Want to know more about the Marion Dufresne? Take a look at the Fact Sheet. 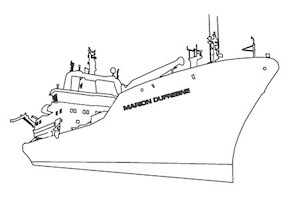 IPEV have provided an English fact sheet on the Marion Dufresne for you; click here to view. Click above image to download PDF. Alternatively, click here to download.